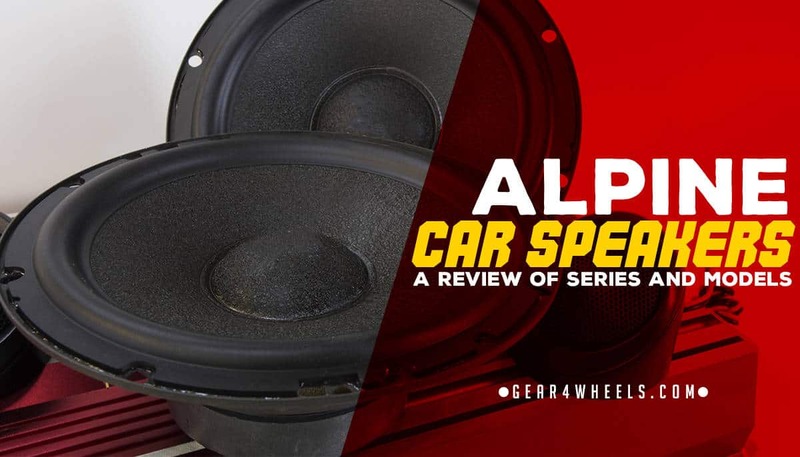 Most car audio enthusiasts have heard of Alpine. 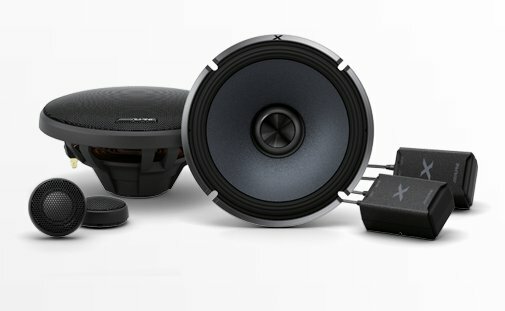 They are considered by fans and critics alike to be one of the finest aftermarket car audio makers in the world, and their speakers and amplifiers are installed in premium brand vehicles for carmakers such as BMW and Mercedes Benz. Their products were also immortalized with a name drop in the now-classic Will Smith track “Summertime,” which spent numerous weeks topping the charts in the 1990s. Founded in 1967, Alpine Electronics, Inc. is a consumer electronics division of Alps Electric, a long-time Japan-based manufacturer and developer of car audio and navigation systems. Let’s take a look at some of their flagship speaker lines, as well as some of their best value car speakers currently available. This is Alpine’s current top of the line speaker series. They are built with the highest quality components available, and manufactured to Alpine’s exacting specifications. Radial Neodymium Motor Structure: Low-loss, high-efficiency driver magnets are positioned inside the voice coil, allowing the speakers to better fit in shallower speaker enclosures. Nanofiber Cones: With their near microscopic diameter, nanofibers provide a lightweight-yet-rigid cone structure that self-dampens internally, providing clear, undistorted original musical tone. Carbon Graphite Tweeter: Rigid enough to provide hard dome performance, yet soft enough to produce the more natural sounding characteristics of soft dome tweeters, the X-Series carbon graphite tweeter can produce more accurate sound and an extended high frequency range without the harsh or tinny sound often produced by hard dome tweeters. For the audio enthusiast that wants high quality audio at a midline price, the R-Series has a longstanding reputation for both dependability and overall performance. 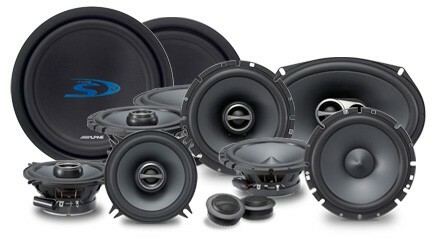 Many factory car audio setups use unlabeled Alpine R-Series speakers because of their more cost-effective performance. Ring Tweeter Voice Coil: Tired of speakers that lose those midrange frequencies to the highs and lows? Alpine’s got a fix for that thanks to their innovative R-Series Ring Tweeter Voice Coil that keeps all ranges balanced to provide a superior overall audio experience. Wave Guide Phase Plug: Thanks to their patented Dynamic eXpander ring adding rigidity to the woofer cone, the WaveGuide technology used in R-Series speakers helps eliminate phase distortion and distortion due to cone flexing. Streamlined Grill Design: External grills use a low-profile metal mesh design that maintain classic Alpine looks while providing additional strength and durability to the entire speaker assembly. A component speaker (Woofers and tweeters are installed separately variant of the R-Series speakers that are primed for heavy duty power handling and overall volume. These are the speakers you buy for a component audio system that you intend to crank out some serious wattage and volume without worrying about distortion or loss in clarity. In terms of bass performance and quality, it doesn’t get much better than Alpine’s Type-R series. 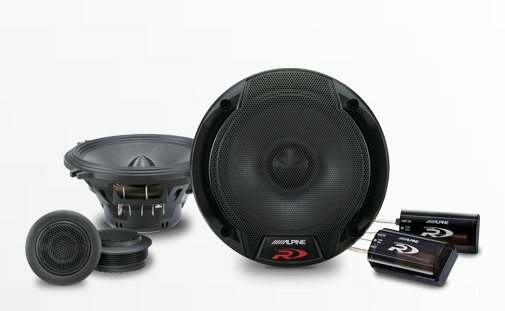 Primarily designed to fit more varieties of car than other lines, the Type-S speakers from Alpine are built so that any vehicle can enjoy the upgrade of premium Alpine sound regardless of what car you drive. Wide Range Silk Dome: Providing excellent resolution and wide-band frequency range response, even the smallest speakers in the series produce some amazing sound. Swivel Tweeter: Looking for that perfect sound balance for the driver’s seat in your car? Redirect the tweeters up to 10 degrees to fine tune the sound performance for your vehicle. Tuned Poly/Mica Cone: Thanks to the combination of mica and polypropylene, these speakers have excellent energy transfer, delivering high clarity as well as higher efficiency. This is Alpine’s economy and replacement line, but that doesn’t mean they sound weak or bad by any means. These coaxial design, soft-dome tweeter, sleek-grilled speakers are easy to install and are still built to Alpine’s high standards of quality and exactitude. These are an excellent choice if you just need to replace a blown factory speaker, or you are starting to build a custom sound system for your car. As part of Alpine’s Type-R series, these speakers are designed to handle some serious audio horsepower. Check out what I love about these speakers. If you are looking to get some serious volume and power from your speakers (or you just love to blast your music loud) these are the 6.5 speakers for you. At 110 watts RMS, they can produce some serious sound with excellent audio fidelity thanks to Alpine’s high quality design. They also have all included hardware to install them in the box, letting your set up your component speakers quickly and easily. Since these are component speakers, you’re going to have to install the tweeters and woofer separately, and wire the crossovers. Also, if you don’t have a seriously powerful car stereo amplifier or head unit to connect these speakers to, why buy them? They are designed to be played loud for extended periods of time, and a factory car stereo is just not going to cut it if you are looking to get the best possible sound from these speakers. Need smaller speakers to fit your ride? These Type-R speakers blow the doors off the competition. These are one of the best 5.25 car speakers I've ever tested. These speakers sound powerful and don’t muddy up frequencies for vocals and high-range sound, making them a great overall performer regardless of what music you like. They also sound pretty good with factory car stereos or aftermarket models, so if you want an easy upgrade these are a good choice..
As with most component speaker setups, you will need to do some extra wiring and mounting, but the improvement in overall sound quality is well worth the extra effort. Also, as good as the upper and mid-range performance is, the low end/bass performance on these speakers is not quite as good as most comparable models in their class. Bass performance is not quite as good as comparable models, but full range performance is much better. When you want to upgrade your existing factory speakers and get Alpine quality sound, these are going to be your best value. These speakers work well with factory car stereos or high end aftermarket models thanks to their lower RMS and high peak power handling. The sound is amazingly clear and natural sounding, and for factory replacements they are definitely standout performers in the clarity and power department. They are also self-contained crossover coaxial speakers, so there is less wiring and setup involved with installation. The bass performance for these speakers is a little subpar, but to be fair, they are 4” coaxial speakers. Keep in mind that if you want to upgrade in the future, they max out at 140 watts, so they can probably handle input from a bigger amplifier, but you may want to consider that they will be straining themselves at those power levels. Blow out a 6x9 in your car or truck? 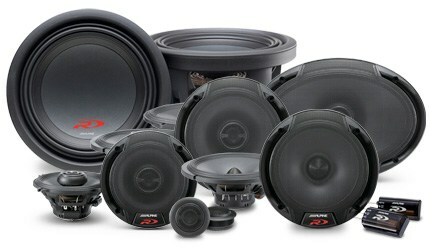 Get some Alpine E-Series speakers and breathe some new life into your car audio without spending a fortune. While not one of my favorite 6x9 speakers, they're budget friendly and deliver good sound, so still a good choice. Here’s what I love and hate about these speakers. These are some great sounding speakers with decent power handling that will most likely work well with your existing car stereo. They also can handle up to 300 watts of power, making them safe to use with aftermarket stereo systems, too. High-end frequency performance on these speakers is subpar compared to comparable 6x9s from other manufacturers. You may not necessarily be able to distinguish it, but if you have a trained ear or you are picky about your car audio, these may not be your best choice.